Shipping is available to any city in any country. Glow in the Dark Paper is used to make glowing pictures and photos on the luminescent surface of photo paper. Just use an ordinary printer which is able to print a picture on the paper and that's it. Glowing Paper may also be helpful to make unique photos, modern abstractions, landscapes, as well as to apply any image. Your wedding and party photos, pictures from your trips will fit just perfect on the Glow in the Dark Paper. Glowing paper is heavily used in advertising, design and polygraphy, both by professionals and nonprofessionals at home. Glow in the Dark Paper may be put in a frame, since the transparency of glass allows light rays to pass through, which actually would be charging the surface. Luminescent paper has a density of ordinary photo paper and is available, as for today, in green color. While daylight will be white. 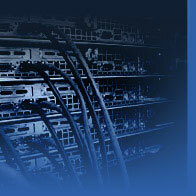 The use of this type of product significantly expands the capabilities of design. Luminescent paper may also be used in arts and crafts. You can cut self-luminous figures out of it, make stunning ornaments and some other handmade things for 100% by yourself. Your kids will definitely enjoy it. Glowing paper has a water-repellent surface, according to what it can be used under conditions of high humidity for a long period of time. It is often used together with luminescent films. Luminous paper composition: Glow in the Dark Paper - is a photo paper combination, covered in a special way with a luminous layer, based on the Glow in the Dark Powder TAT 33. Purpose of Glow in the Dark Paper: Creation of unique luminous photographs, drawings and images. Glowing paper properties: Luminescent paper can accumulate energy from any source of light and is able to self illuminate in the dark. Glow time depends on the charging time and the power of charging source. It can glow up to 8 hours considering the extinction. It takes just a couple of minutes to charge the surface of the glowing paper. That is something Noxton Company can be proud of. Ways to print on luminous photo paper: Ordinary printing, silk screening and large format printing. Self-luminous paper preparation: No special preparation required. Recomendations: Experiment with various colors and shades to get up-to-date and fascinating glowing pictures. Luminescent paper formats: Luminescent paper is available in next popular formats: A3, А4, А5 and А6. Glow colors: Basic green glow. Glow effect life time is longer than a life time of the luminescent photo paper. Glow in the Dark Paper is better for indoor usage, due to rapid change of illumination. Luminous paper has a high elasticity. It's coating will not crack when bent. To make high quality pictures use a color inkjet printer. Quality of the picture on the glowing paper depends on the quality of the image you want to print. 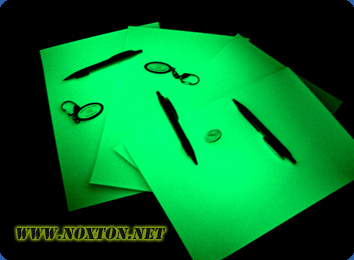 To see the prices for Noxton's Glow in the Dark Paper, please proceed to "Price list" page.